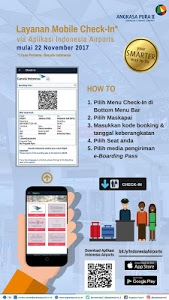 The Official Indonesia Airports Android Application of PT Angkasa Pura II (Persero). 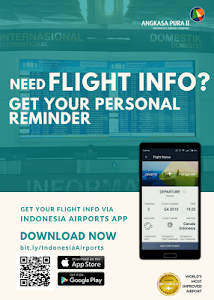 You can receive real-time reminder of your flight. You can also get a view of all shopping stores, facilities and airport, flight radar information just by one touch. *Check-in online : Now you can check-in your flight on time with our new feature. 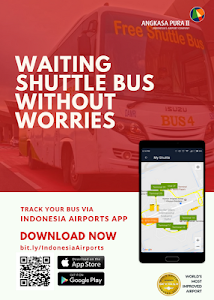 *Flight Information : Simple search of departure,arrival & delay flight schedule at the Airport. *Shop and dine : Information about listing and information of food, beverages, and souvenir stores in the airport. 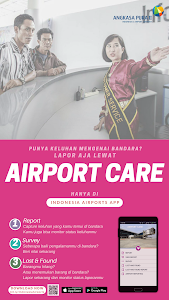 *Airport Care : Incident report for passenger and feedback survey for better Airport services. 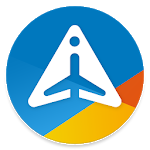 *My Flight : Personal services alarm to receive real-time updates on flight status and gate changes. 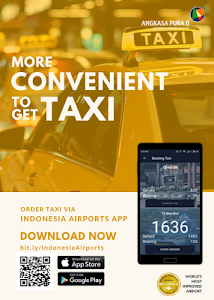 *My Transport : Easy to book your regular or executive taxi via apps, Check your Airport train & Skytrain Schedule, Tracking your Shuttle Bus, & Long Stay Parking Reservation. *E-Commerce : Order & Shopping at the Airport's Tenant via Our Online Marketplace, Currency info, Travel Reservation & Personal Effect Cargo. *Asian Games Menu : Asian Games Tematic, Get sport's info in Asian Games, get Participant's info in Asian Games, Live score, Athlete details, News, & Video Asian Games. 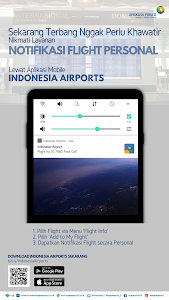 This mobile application is designed and developed by PT Angkasa Pura II (Persero). 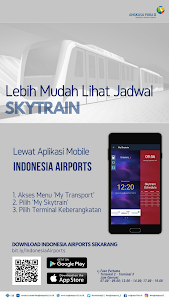 Similar to "Indonesia Airports - Info dan Jadwal Pesawat"